David Passes His Driving Evaluation! Today at around 2 pm David got behind the wheel of a car and drove for the first time since his accident. 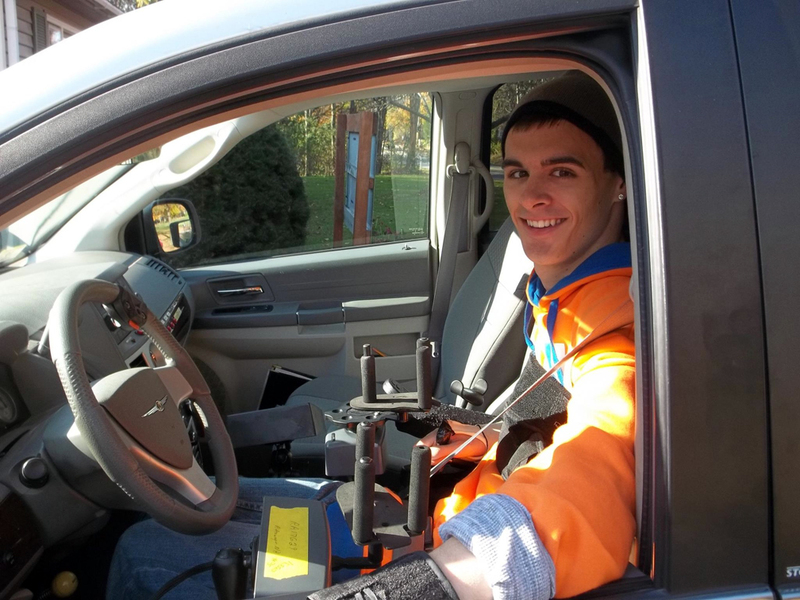 Donald Sampson from CMSC came by the house to evaluate David to see if he would be able to drive on his own. David was a little nervous at first but had no problem driving Don’s van around the neighborhood. He did so well that Don said he can recommend David for driving. Yeah! David is very excited. The next step is raising the funds so David can buy a vehicle that he can drive on his own. He will also need specialized driving lessons. To see more pictures of David’s driving evaluation click here. Without your support this would not be happening. This entry was posted in PROGRESS, UPDATES FROM THE HUDGIKS. Bookmark the permalink.